Learn how to play the lyre! on How to Play an Ancient Lyre! 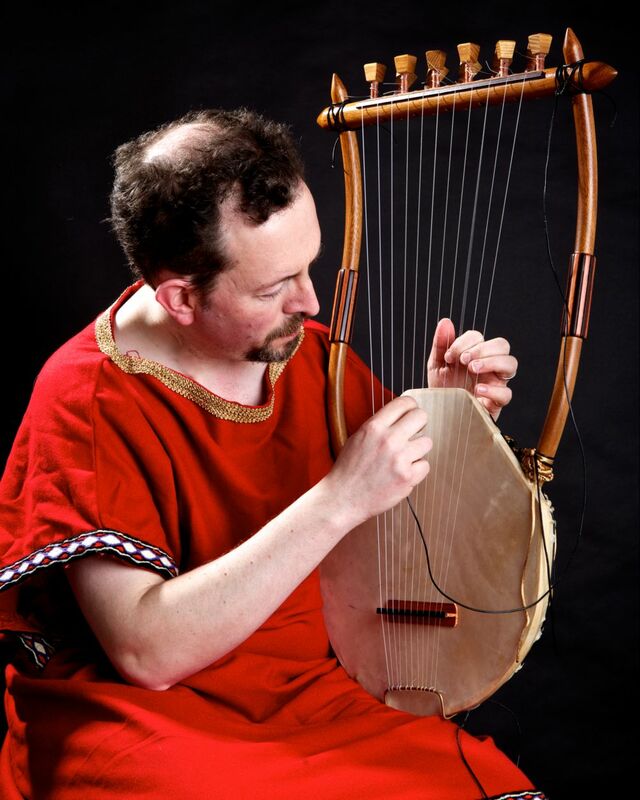 This series of online lessons was prepared by Michael Levy for Luthieros Workshop, using our 11strings version of the “Lyre of Apollo”, a chelys lyre type replica ancient instrument. This is the first in a series of ‘online lyre lessons’, demonstrating how to begin to learn to play a beautiful ‘Chelys’ lyre manufactured by Luthieros Workshop in Greece. The second lesson focuses on the Ancient Greek Modes, how you can tune your lyre and how you can use them while playing the lyre. The third lessons in this series, focusing on tuning your lyre in the Just Intonation. The fourth in a new series of ‘online lyre lessons’, focusing on learning how to play some basic melodies on your ancient lyre. Today, there are some 60 ancient melodies that survives in fragments, upon which a modern musician can improvise and imagine how they could sound in total. What’s more, they can be used as an amazing starting point for composing your own ancient-inspired songs. Today, there are some 60 ancient melodies that survives in fragments, upon which a modern musician can improvise and imagine how they could sound in total. What’s more, they can be used as an amazing starting point for composing your own ancient-inspired songs, like the one you just heard. The 6th lesson in these series, focusing on how to use your second hand while playing the lyre. Check some more amazing two-hand playing techniques in 9th lesson of this series, by one of the modern masters of the ancient lyre playing worldwide! In the seventh lesson of this series, you will learn how to play “Skolion of Seikilos”, the oldest complete surviving melody of the human kind! “The Epitaph of Seikilos” was found inscribed on a tombstone, including the lyrics and the musical notation. It is dated back to the first century before Christ and, except the song, the tombstone was stating that “I am a tombstone… an image. Seikilos placed me here as an everlasting sign of deathless remembrance”. It is academically confirmed as the oldest surviving example of a complete musical composition around the world. This is the eighth lesson in this series, focusing on learning how to play another popular ancient music melody. The diverse range of lyre-playing techniques I have used in the creation of my albums, are all authentically based upon ancient lyre playing techniques which have amazingly survived to the present day, and which can still be heard in parts Egypt and East Africa. These techniques include alternating between guitar-like, plectrum-plucked tones in the right hand and harp-like, finger-plucked tones in the left hand; which also sometimes includes providing basic harmony below the melodic line – this technique is actually mentioned in Virgil’s epic poem, “The Aeneid – Book VI, line 645.